The Kirlin Group is one of the largest privately held construction and engineering companies in the United States, providing full-service commercial, industrial, and governmental construction and renovation projects. Designing and delivering plumbing and HVAC building systems are among the firm’s core specialties. Recently, the firm transitioned to Building Information Modeling (BIM) to help it design, plan, and execute projects. As a long-time user of a BIM clash-detection process, the firm anticipated that a deeper commitment to a model-based process would deliver dividends. And it has. 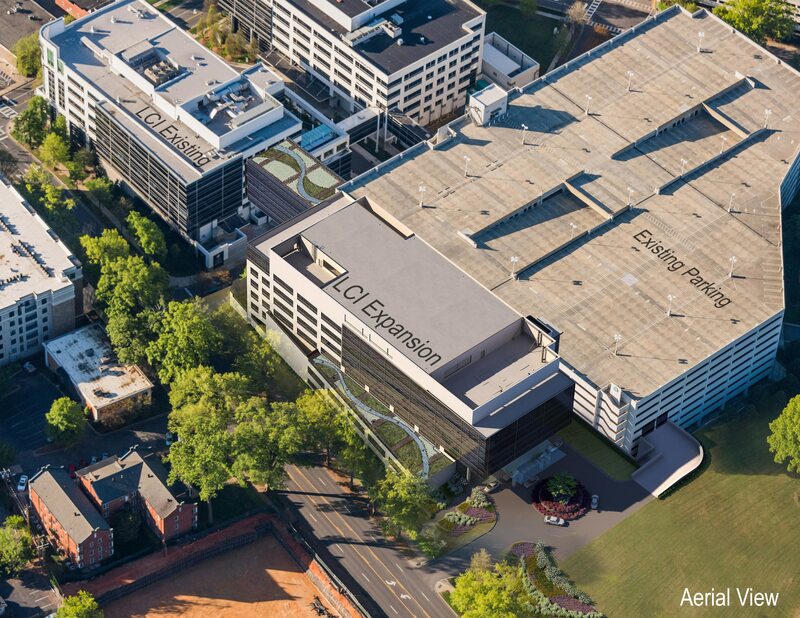 The Levine Cancer Institute Expansion—an 8-story, $125 million addition to the Levine Cancer Institute in Charlotte, North Carolina—provides a window into the advantages the firm gains from BIM. The Levine Cancer Institute expansion required close coordination across teams. On the Cancer Institute project, Kirlin joined the project team early enough to make efficiency-enhancing contributions to the architectural and structural models. Given the complexity of building systems in a health care facility, that early involvement helped prevent the clashes and rework that can slow projects. What role did BIM play? It accelerated every step of the collaboration process—and helped the team spot opportunities to save time with prefabrication. The BIM process lets us model everything and sequence construction early. We made virtually everything off-site using the BIM model as a guide, and had a clear installation schedule well before construction even began. Designing and coordinating the second floor took just 2 weeks. 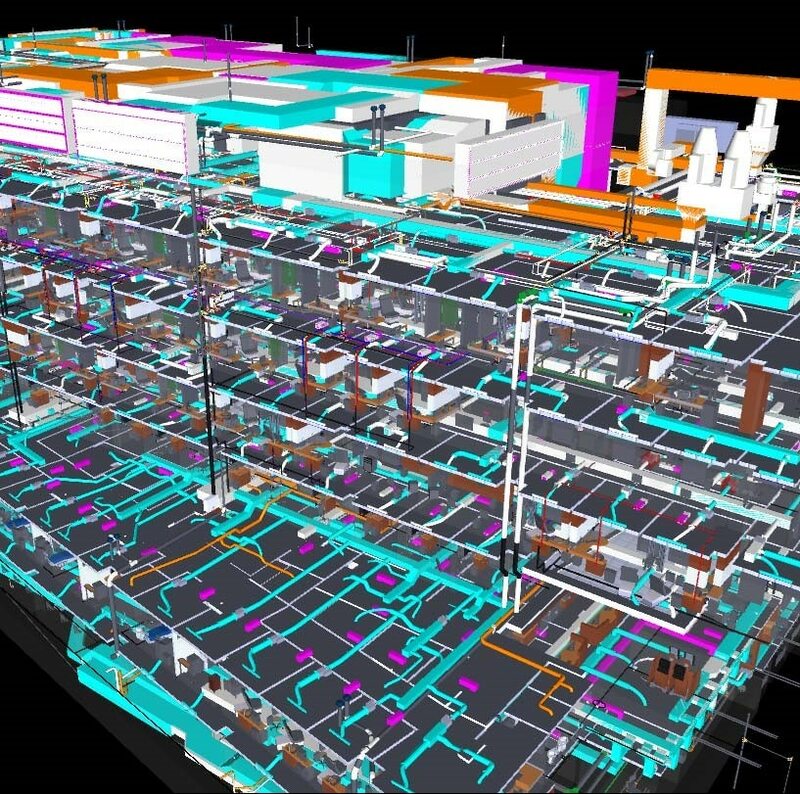 The workflow on the Levine Cancer Institute project shows how BIM helps fuel the kind of proactive thinking that Kirlin prizes. Working closely with the architect, general contractor, and engineer of record, the team turned to the BIM software in the Architecture, Engineering & Construction Collection to keep the project moving at a fast pace. Using Revit design software, they modeled the project and shared the model with the other trades and project stakeholders. Dynamo Studio helped the team create macros that automated many types of changes and detailing processes. Navisworks Manage software provided a shared touchpoint for spotting clashes and collaborating to eliminate them. Early in the project, the team identified the second floor of the center as a potential source of clashes, as it houses multiple labs, each with special air, water, and ventilation needs that demand precious space between walls and floors. Sharing and coordinating models frequently helped Kirlin and other project participants account for each aspect of the complex systems—they even sequenced construction to determine the most efficient construction schedule. We saw that in prioritizing efficiency, we had to make BIM tools more accessible. With the Architecture, Engineering & Construction Collection, the BIM tools we need are at the fingertips of our team when they need them. The pricing was appealing, but the important thing is that no one ever has to wait for access to the BIM tools they need to get the job done. Adopting a BIM process has helped Kirlin save time, increase efficiency, and support safety on all its projects—not just the center. But the firm takes a broader view of success—its goal is to help every project participant be more successful. According to Thomas, BIM adds to Kirlin’s ability to further that goal, too. BIM helped the team avoid clashes and identify efficiencies to speed delivery.